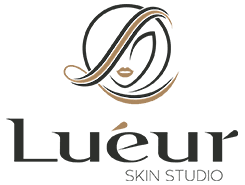 Lueur is the French word for glow, and with years of expertise, our trained and licensed aesthetic specialists in Clearwater, Florida, offer the most effective noninvasive or minimally invasive treatments and procedures that deliver both significant and measurable results without the risk of surgery and anesthesia. Our typical patient is not seeking surgery but wants to correct imperfections and improve the appearance of their face and/or body without significant pain, risk, or downtime. With all of the questionable information and marketing in our world, we know how difficult it can be to make the right cosmetic treatment decision, so we’re committed to offering our patients the most ethical, honest, and scientifically proven non-surgical procedures and services at our Clearwater Skin Studio. We have taken the time to thoroughly research each and every one of the services made available in order to provide our patients with the safest, latest, and most effective technology on the market. Here at Lueur Skin Studio, our patients are our family.